A young man who suffered from schizophrenia — we’ll call him Andrew — was due for a monthly injection of his long-acting antipsychotic medication on a Wednesday. But his regular prescription was held up due to a discrepancy over Andrew’s insurance benefits. Days went by without Andrew having access to his critical antipsychotic treatment. The following Tuesday, having still not received his injection, Andrew attempted suicide by overdose of another medication, hoping to silence the voices in his head. When individuals in need are denied health care services, they suffer. Far from hyperbole, that’s a reality — in both physical and mental health care, as witnessed by Andrew’s true story. As lawmakers consider changes to the Affordable Care Act, it’s critical that they preserve coverage for mental health and substance use disorders for the 11 million Americans with incomes below 138% of the federal poverty level ($27,821 for a family of three) who need these critical ­services. Eliminating mental health and addiction services for Medicaid recipients will not save health care costs — in fact, it will increase them — and will come at terrible human and social costs. About 29% of individuals covered under the ACA have either a mental health disorder like clinical depression, bipolar disorder or schizophrenia, or a substance abuse disorder — or both. From an economic standpoint, there is no gain in eliminating these services. Individuals with mental health or addictive issues already face a slew of unique barriers to needed services and pharmacological therapies, with costly consequences when they cannot access them. The National Center on Addiction and Substance Abuse reports that risky substance use and untreated addiction cause or contribute to more than 70 other conditions requiring medical care. Almost one-third of mental health patients who experience challenges in accessing needed medications experience treatment lapses or discontinuation with expensive fiscal impacts, including significantly higher rates of emergency room visits, hospitalizations and side effects that interfered with functioning. About 22%, like Andrew, become suicidal. On the heels of the $1 billion investment under the 21st Century Cures Act, and at a time when patients are benefiting from tremendous progress in new drug therapies, curtailing access to medication for those with mental health and addictive illness makes little sense. Many individuals with mental health and addictive conditions are “brittle,” and without consistent treatment, lapses in their stability are all but a certainty, causing human suffering and desperation. The ACA has facilitated real cost savings through improved access to crucial treatment at community mental health centers. Many of these centers successfully integrate behavioral health, primary care and pharmacy services. In centers where pharmacy services are offered on-site, delays that can happen under mail service models are eliminated and pharmacists and clinicians are able to collaborate on treatment plans. This results in higher medication adherence, fewer hospitalizations and less utilization of high-cost emergency departments. In fact, a peer-reviewed study found that this kind of care saves $700 per member per year in avoided care. In Andrew’s case, he was, thankfully, found alive and admitted to a medical hospital for treatment. After release from the medical hospital, still unstable, he was placed in a psychiatric hospital for several days. Those personal and financial costs far exceeded any savings that might have been gained by limiting his access to care — one of the reasons why the elimination of mental health and addiction services is opposed by numerous medical associations, including the American Psychological Association and the American Academy of Family Physicians. In their desire to redesign the operation of state Medicaid programs, policy makers are faced with many tough choices regarding the provision of care to more Americans. But those choices cannot be considered separately from their impact on vulnerable populations whose services and therapies are left on the chopping block. This much is certain: If benefits for mental health and substance abuse are curtailed or eliminated, more individuals will suffer — and more will die. Changes made to the ACA must preserve coverage for mental health and substance use disorders, including the needed services and medicines used to treat them. 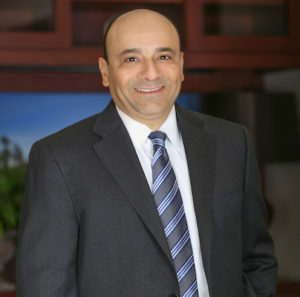 John Figueroa is CEO of Genoa, A Qol Healthcare Company LLC. He can be contacted at JFigueroa@genoa-qol.com.